How to install9 Fix the product with a right angle and make sure no shelter on the surface of solar panel. b. How to use9 The product is off before delivery in order to avoid discharging during transportation. 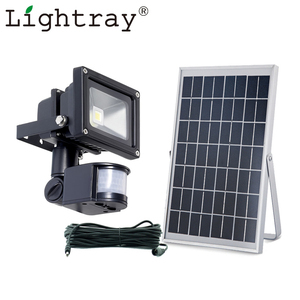 What to do with the rainy day or Cloudy day9 The outdoor solar light is waterproof. 5 YRS Xiamen Lightray Optoelectronic Technology Co., Ltd. 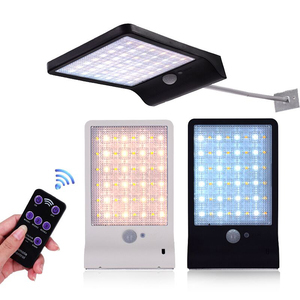 Hot sale High quality outdoor waterproof Led Solar Motion Sensor Wall Light Product name: Led Solar Motion Sensor Wall Light Led Number: 8/16/20led bright MSD led Product size: 12.4*9.6cm*5cm Battery 1*18650 battery 2200mah Working voltage: 3.7V Solar panel: 0.55w/5.5V Lumen: 350lm Sensor Inductor PIR sensor Sensor Distance 3-6m Sensor Angel: 120 degree Waterproof rate IP65 Switch: ON/OFF Lighting way: lighting up as motioin detection Switch mode: When detect the motion, the light automatically turn on No sensor, the light turn off Installation way: Wall mounted Q 1: . Are you a manufacturer or trading company9 A: We are a professional manufacturer of led flashlight, led headlamp, and other lighting product. Q2: How do you control the products quality9 A: We check the products one by one before do the bulk packing Q3: How much time to ship the goods if place an order9 A: Usually it will take 30 days to finish the goods, but sometimes depend on the order quantity Q4: How do you to handle the issue if the products have some problem after received A: We will compensate the customers for loss by products or discount if the problem caused by the product Q5: Do you supply free aluminum material light pen sample9 A: Yes, we supply one free aluminum material light pen sample for checking Q6: How much time to make samples9 A: Usually it will take 4-5days to make new samples Q7: Can we print our logo on the product9 A: Yes,print your logo on product is available . Drill two holes into the wall, put 2 big screws into the holes and fix the solar panel to the screws. 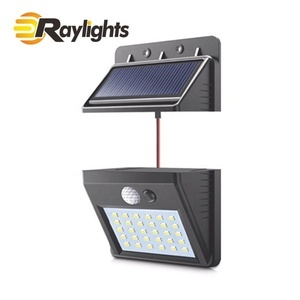 Warm tips of installation: *Please install the flood light & solar panel in the daytime. 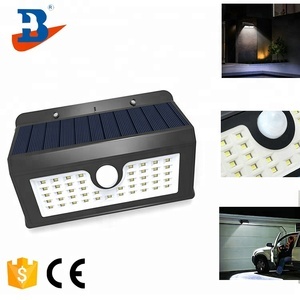 *Please make sure that there is no other light sources shine on solar panel at night, because it's light control. 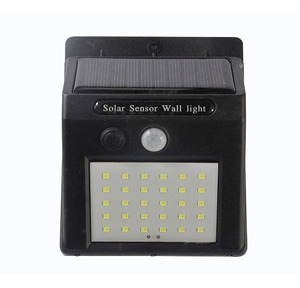 3 YRS Shenzhen Intefly Electronics Co., Ltd.
Alibaba.com offers 79,902 solar sensor products. About 20% of these are garden lights, 1% are sensors, and 1% are other electronic components. 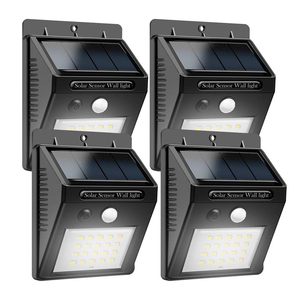 A wide variety of solar sensor options are available to you, such as solar, energy saving, and incandescent. You can also choose from free samples, paid samples. 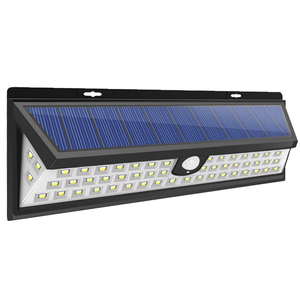 There are 79,902 solar sensor suppliers, mainly located in Asia. 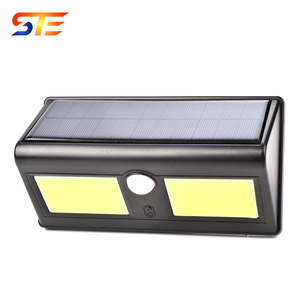 The top supplying country is China (Mainland), which supply 100% of solar sensor respectively. 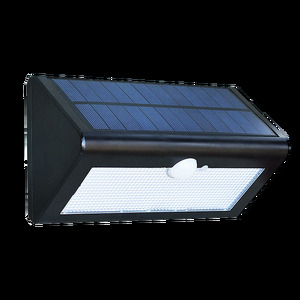 Solar sensor products are most popular in North America, Western Europe, and South America. You can ensure product safety by selecting from certified suppliers, including 23,206 with ISO9001, 8,461 with Other, and 5,499 with ISO14001 certification.